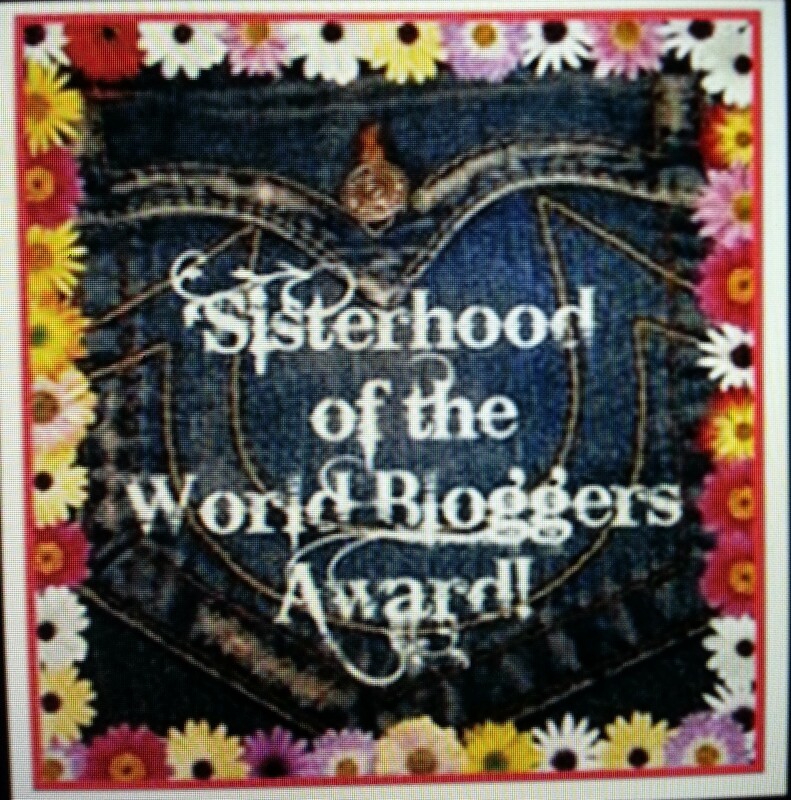 I want to thank Zoe M McCarthy, author of Calculated Risk, for nominating me for the Sisterhood of the World Bloggers Award. As part of the process, Zoe posed questions that you might be curious to know as well. Initially I started because editors and agents insisted that writers build their own readership. I tossed around a lot of topics, until my youngest daughter asked me a series of questions and helped me see that I am all about healing and peace. Once I had that focus, I began to write, and haven’t looked back. I love it! Actually, I have spent more mental time on my blog than my fiction. I count it a privilege to share my little glimpses of peace. 2. What was the topic of the blog you wrote that had the greatest impact on your readers and why? That is hard to gauge, since all I have to go by are comments and stats. According to them, my posts surrounding my mother’s death have touched many readers. We all face death and loss, and dealing with that reality is not something you find in typical chitchat, or T.V. sitcom. In Glimpse of Peace I share what I see and feel. That is often scary. (No. It’s always scary to be so transparent.) My point is more than the pain. We all have that. I try to share hope. Real hope. 3. What is your process from getting a blog idea to announcing your just submitted post? 4. What is something you’d like to learn how to do to improve your blog this year? Mechanics is probably what I spend the most time on, and get frustrated with. I’m learning some html. That and the photos. My husband has thousands of great ones, so I spend way too much time going through pictures, formatting, etc. They have become integral to my blog. So I want to learn how to do it all without spending hours after I’ve finished the writing. 5. What kinds of blogs do you enjoy reading? I love contemplative blogs with writing that drills through to my heart, like Ann Voskamp and Dani Di Lucca. I also spend lots of time on how-to’s, everything from Zoe McCarthy’s writer helpls, to how I can get more toner from my cartridge. I’m a funny mix of artistic and practical, so I run the gamut. My biggest problem is limiting myself. There isn’t enough time for all I’d like to read! 6. What are three words that best describe who you are? 7. What book did you most enjoy reading last year and why? That’s hard. I love books! This year I haven’t allowed myself a lot of fiction reading, other than those I judged for the Carol Awards or critiqued. I think The Healing Path: How the Hurts in Your Past Can Lead You to a More Abundant Life, by Dan B Allender has impacted me the most. It has a companion study guide which my daughters and I are doing together, by phone. It has been revealing and healing. 8. What is a non-blogging goal you’d like to accomplish this year? I started to say that was easy, then realized it isn’t. My first goal is consistent physical wellness, so that I can accomplish the other, which is to finish editing my novels and get them in print, and finish writing my contemporary one, which has been awaiting my attention for too long. 9. When you’re not blogging, what do you enjoy doing? 10. What was a spiritual lesson you learned in the past year? 1. What motivates you the most? 3. Do you write anything outside of blogging? 5. Who do you admire the most? 6. Do you prefer fiction or nonfiction? 7. What book has influenced you the most? 9. If you could accomplish one thing this year, what would you choose? 10. What is your greatest blessing? Now it’s your turn, dear reader. Will you share your answers to any of those questions? I’m so honored to be mentioned here, Jane; thank you for considering me. I enjoyed reading your answers to Zoe’s questions, as I love getting to know you more. Fingers and toes crossed that our face-face will work in April. P.S. I will do this just as soon as things are more manageable with my father. I’ve got my fingers crossed as well. After a month of illness and antibiotics I am, hopefully, on the mend and should be good to go then. Thank you so much, Jane. I’ll let you know when I post my answers and pay it forward. You said so many kind things. Warmed my little heart, it did. Isn’t it wonderful how we can both be writers, passionate and loving God, and kindred spirits in many ways, and yet so different! No two snowflakes . . . God loves diversity and blesses us with these differences. Jane, I enjoyed reading the answers to my questions. I’ve seen how passionate you are about sharing hurts and how you’ve sought and relied on God for the healing in hopes of helping others.